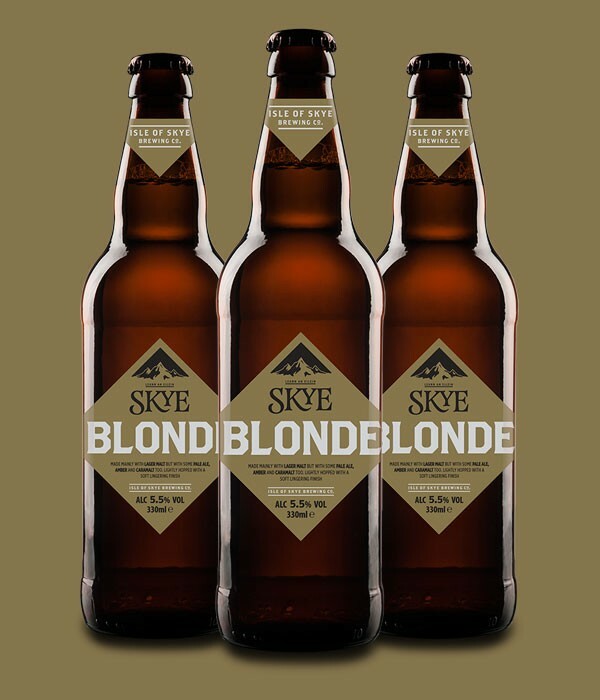 Skye Blonde | Isle of Skye Brewing Co.
Made mainly with lager malt but with some pale ale, amber and caramalt too. Lightly hopped with a soft, lingering finish. Blonde as the name suggests is a light craft beer with a mix of Lager malt, Pale Ale, Amber & Caramalt all brought together then lightly hopped to give a refreshing easy to drink Craft beer.